There has been a rise in sales for vegetarian and vegan dishes over the last couple of years. 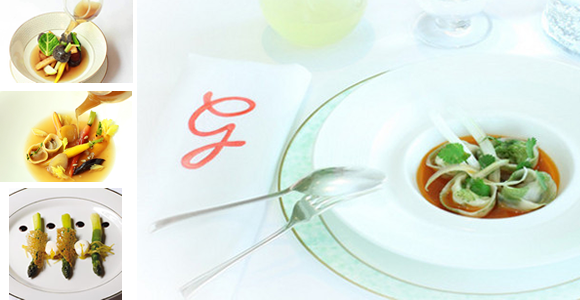 With this comes an increasing demand for a wider variety of vegetarian and vegan options on menus within restaurants. It may even seem like consumers who prefer meat dishes are more inclined to choose a vegetarian option for a bit of variety, myself included! The “megatrend” that seems to have formed could be due to a lot more people wanting a healthier lifestyle, the big focus on everyone becoming “more green”. More and more chefs are starting to realise that there are better things that can be done with vegetarian or vegan dishes as they are often more decorative and colourful and they are happy to join the trend, not wishing to lose out! Pret A Manger is now one of the main players with regards to creating a “greener” menu. 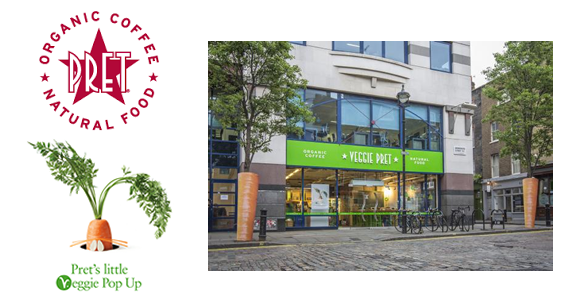 From the 10th of May, we have been able to purchase some lovely vegetarian options at their London pop-up restaurant “Veggie Pret”. The restaurant front has been decorated with a refreshing shade of lime green and the chain has replaced 40 meat and fish dishes to vegetarian and vegan alternatives. The figures for vegetarian items that were brought last year have doubled, with avocado the most popular. Pret A Manger seems to have taken these figures as a sure sign to follow a popular trend… Who can blame them?! Keeping with the trends of the 21st century, the chain has also implemented the use of social network to make sure that they keep up with their customers’ demands. Customers who visit the “Veggie Pret” restaurant are able to use the hashtag: #VeggiePret, just stating their opinion of what they think with either “Hit the Spot” or “Lost the Plot”. This in turn also creates a bit of fun with the overall experience and allows all their followers to follow suit. 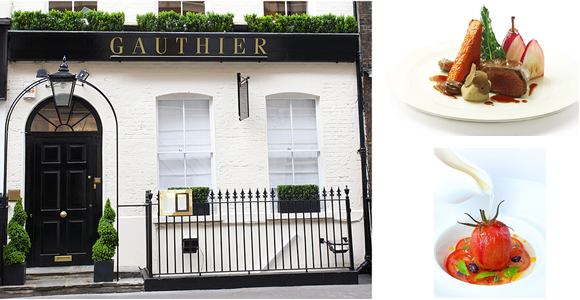 Gauthier Soho has also joined the “Veggie Revolution” that seems to have been progressing rapidly lately. 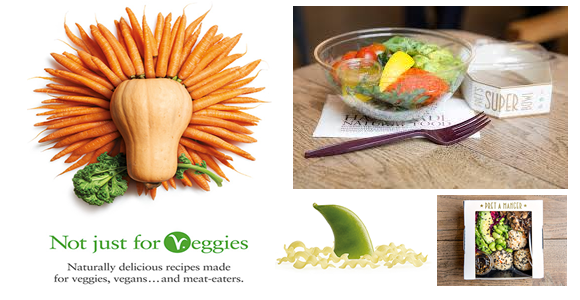 They have recently launched a “Vegan tasting menu” due to the regularity of customers requesting these types of dishes. The Classical French restaurant serves up an 8 course menu for customers to enjoy food dishes that are free from meat, dairy and eggs. Chef Patron Alexis Ghautier found the requests “difficult to ignore”, especially with 50-60% of the menu choices stemming from their “Les Plantes” section as well as several requests from celebrities. With these factors in mind, Ghautier has described the changes as a “natural step forward”. He has also described that being vegan is “liberating” and is keen to promote these ideas for other chefs to follow, having seen the creativity that can be achieved with the alternative ingredients. The Vegan Society has revealed that the numbers of vegans in the UK has more than tripled in amount over the last 10 years. Reports have also revealed that over two thirds of frequent diners want to see a wider range of vegetarian dishes on restaurant menus. With these figures and the increasing demand, restaurants could be missing out on thousands of customers! There is no surprise that several chains and restaurants are extending their vegetarian and vegan selections. Definitely something I won’t mind trying myself!